One of the things that is Pure Michigan is sending people to prison. Although incarceration rates have fallen the past few years, there are three times as many people in Michigan prisons now than there were four decades ago. If Michigan were a country, it would have one of the top 20 incarceration rates in the world and would likely be on a State Department watch list. More than six of every 100 Michiganders is in prison. About twice as many are former felons, those who have been released from prison, although many are still repaying a debt to society they no long owe. It turns out that society needs them. Michigan needs them to get up in the morning and come to work. For many, though, that isn’t possible because one of the first things many employers ask, after name and address on a job application, is whether the applicant has been convicted of a felony. One of those who would have to answer yes is the voice of those Pure Michigan commercials. Ten years before “Home Improvement” and 18 years before the debut of the state tourism campaign, Tim Allen was paroled from federal prison where he was serving three to seven years after being arrested with almost a pound and a half of cocaine. Allen found work after his felony convictions. Other former felons should be given the same chance. Many won’t. 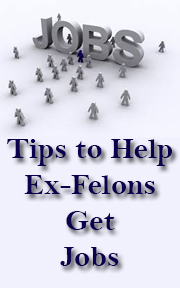 Some former felons are reluctant to apply for jobs, knowing they will have to check that box. Many employers won’t look past that blemish on a potential asset’s past history. Either way, applicants don’t get interviewed, employers don’t learn about important and relevant training and experience, well qualified people won’t get jobs and businesses will struggle to fill vital positions. The felony question isn’t a valid predictor of future performance and should be illegal. In a handful of states and a few cities across the country, it is. A bill to ban it in Michigan never got a committee hearing. But an executive order of Gov. Rick Snyder, Michigan last week just became one of about three dozen states that doesn’t ask the question of prospective state employees. The city of Port Huron will no longer ask its applicants if they’ve been convicted of a felony. Beyond being a good business practice, it is part of City Manager James Freed’s campaign to give the city a reputation as a place welcoming to anyone who wants to work. City Council can’t extend the ban to include other employers in the city, as Austin, Texas, and other cities have done. That’s because, in March, Snyder signed Senate Bill 353, which prohibits local governments from enacting ordinances that restrict use of the felony question by private employers. Irony is not a crime. I have been reading your blog, but I see nothing about getting a job in Florida. It is really tough on a convicted felon when comes to getting a job. Do you know of any places here who will give a felon a shot at a job? I live in Plantation, and I have been everywhere but all I see are doors slammed in my face. I will take anything at this point. I agree it is really hard for a felon. One thing I suggest is that take anything you can get so you can build a resume, a work history and a reference for you to build on. Apply for as many jobs as you can because find a job for a felon is a numbers game. The more jobs you apply for, the greater number of interviews you will get. The more interviews you get the greater your chances will be to get a job. Take a look at this story which is an actual case of one of my students, Real Stories of Ex-offenders and Felons Looking for Job. It tells the story of one of my students who was having a tough time finding a job and some of the things he had to do to get hired. From time to time, we all need a little help. I know there was an organization in in Ft. Lauderdale that may help ex-offenders and felons get jobs. The Urban League of Broward County has a program that helps to prepare low income, unemployed and those with criminal backgrounds for jobs. There are other resources that can help families and single people who are having a difficult time. You can find out more about The Urban League of Broward County and what programs are available at their website. Under that, is one of my videos that will give you other options that may lead to you getting a job. "Programs designed to provide training and developmental skills necessary to enter or re-enter the workforce and become economically self-sufficient. Program benefits include educational services, job placement, GED preparation & testing, employability skills training and child care services. These programs offer participants career development opportunities through various life skills workshops, service-learning experiences, internships and apprenticeships."